SINGAPORE: Singapore’s electronics exports slumped in March by the most since 2013, an ominous sign that it will take longer for the city state to shake off a regional demand slowdown from earlier this year. Electronics shipments dropped 26.7 percent from a year ago, weighing down overall non-oil domestic exports, which fell 11.7 percent. That was far worse than the 2.2 percent contraction forecast by economists in a Bloomberg survey. 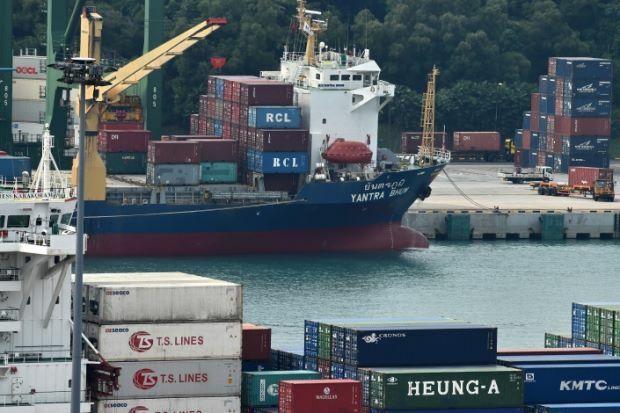 The Chinese economic slowdown, uncertainty over U.S.-China trade talks, and disruptions around the Lunar New Year holidays have soured exports numbers this year, especially in trade-reliant economies like Singapore’s. The city state’s critical electronics sector has contracted for 15 of the past 16 months after an unexpected surge across the region for much of 2017. Weaker Chinese demand has also resulted in exports to the U.S. outpacing those to China for the first time in more than seven years. Economists are counting on a recovery in Chinese demand, helped by government stimulus measures, which should filter through to the region’s economies.